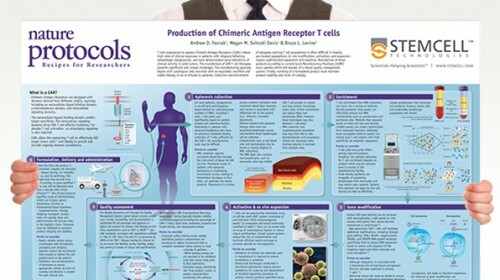 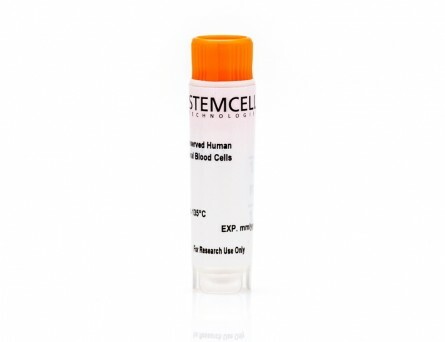 ImmunoCult™ Human CD3/CD28/CD2 T Cell Activator is designed to activate and expand human T cells in the absence of magnetic beads, feeder cells or antigen. 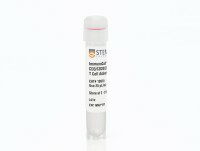 ImmunoCult™ Human CD3/CD28/CD2 T Cell Activator consists of soluble tetrameric antibody complexes that bind CD3, CD28 and CD2 cell surface ligands. 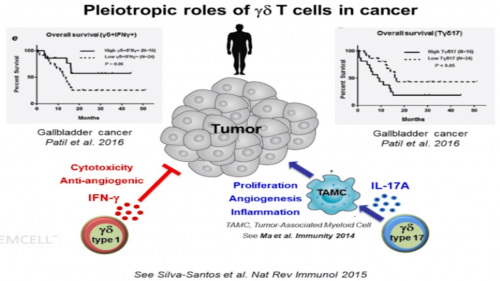 Binding of the tetrameric antibody complexes results in the cross-linking of CD3, CD28, and CD2 cell surface ligands, thereby providing the required primary and co-stimulatory signals for T cell activation. 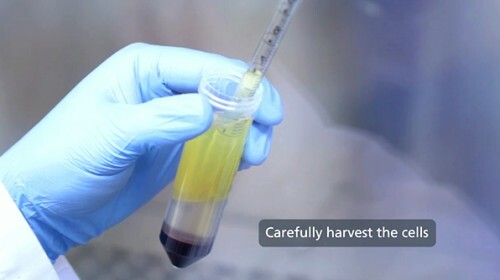 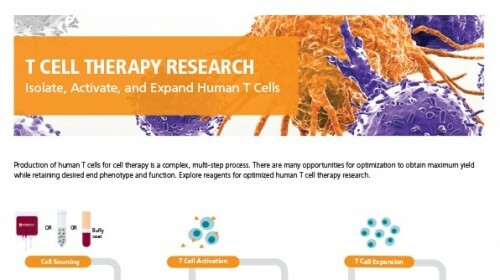 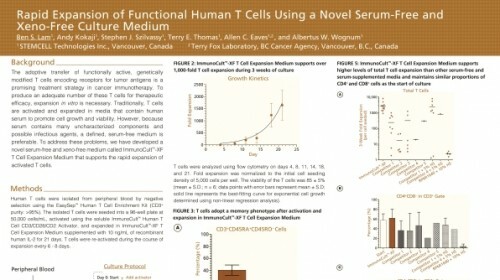 Activated T cells can be expanded in ImmunoCult™-XF T Cell Expansion Medium or other media for culturing human T cells supplemented with cytokines. 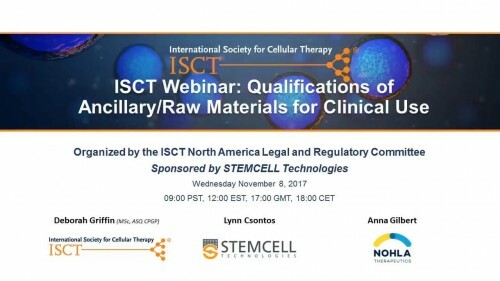 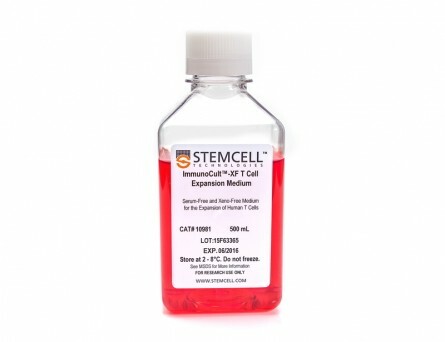 This product is designed for cell therapy research applications following the recommendations of USP<1043> on Ancillary Materials, and we can currently work with you to qualify this reagent under an approved investigational new drug (IND) or clinical trial application (CTA). 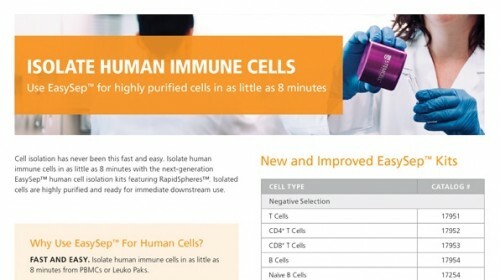 Image of human T cells isolated using the EasySep™ Human T Cell Isolation Kit (Catalog #17951), stimulated with ImmunoCult™ Human CD3/CD28/CD2 T Cell Activator, and cultured in ImmunoCult™-XF T Cell Expansion Medium (Catalog #10981). 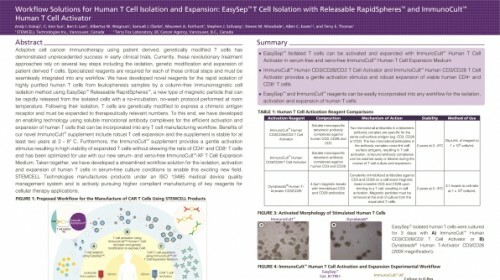 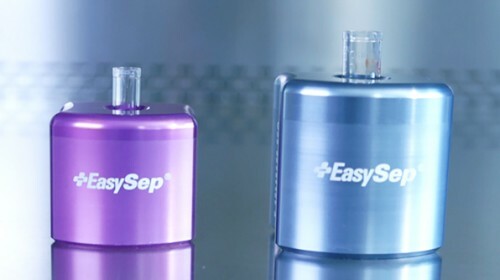 EasySep™-isolated human T cells were stimulated with ImmunoCult™ Human CD3/CD28/CD2 T Cell Activator and cultured in ImmunoCult™-XF T Cell Expansion Medium. 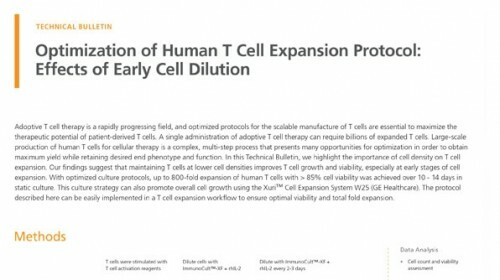 Activation of viable CD3+ T cells was assessed by CD25 expression using flow cytometry. 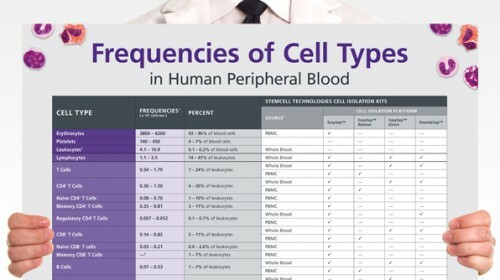 On day 0, the frequency of CD25 positive cells was (A) 5.6 ± 2.4% (mean ± SD). 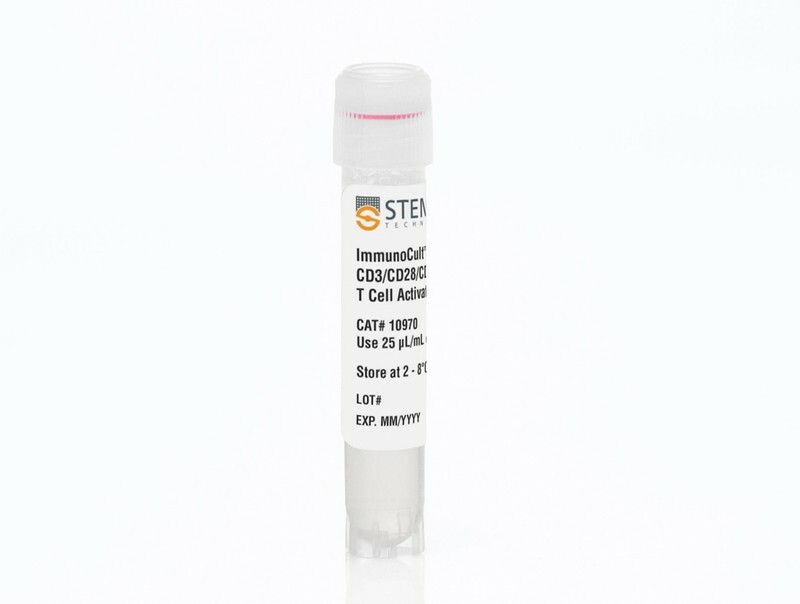 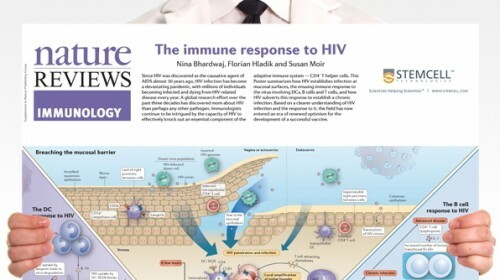 Following 3 days of culture, the frequency of CD25 positive cells was (B) 88.8 ± 3.2% (mean ± SD) when stimulated with ImmunoCult™ Human CD3/CD28/CD2 T Cell Activator. 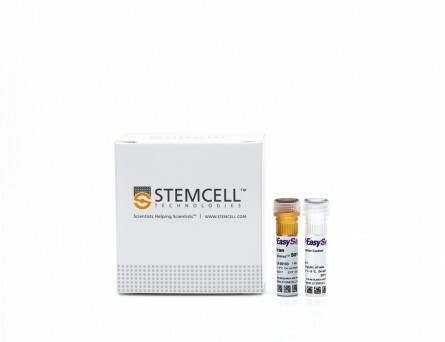 LFA-1 integrin antibodies inhibit leukocyte α4β1-mediated adhesion by intracellular signaling. 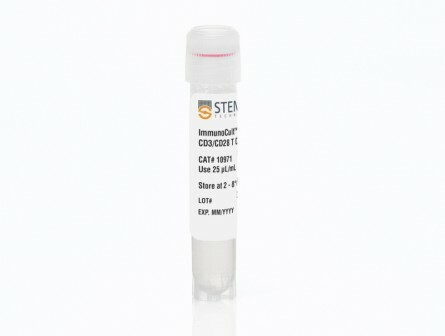 Binding of ICAM-1 (intercellular adhesion molecule-1) to the β2-integrin LFA-1 (leukocyte function associated antigen-1) is known to induce crosstalk to the α4β1 integrin. 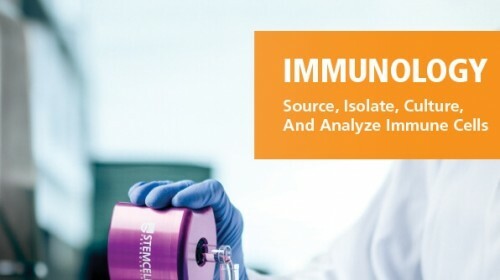 Using different LFA-1 monoclonal antibodies we have been able to study the requirement and mechanism of action for the crosstalk in considerable detail. 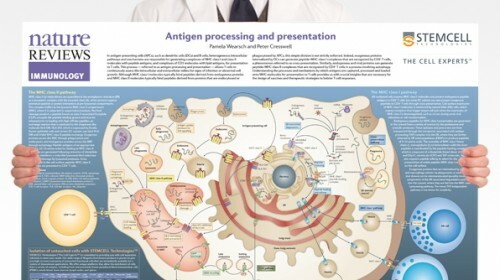 LFA-1 activating antibodies and those inhibitory antibodies that signal to α4β1 induce phosphorylation of Thr-758 on the β2-chain, which is followed by binding of 14-3-3 proteins and signaling through the G protein exchange factor Tiam1. 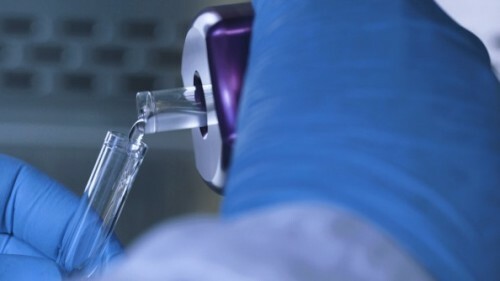 This results in dephosphorylation of Thr-788/789 on the β1-chain of α4β1 and loss of binding to its ligand VCAM-1 (vascular cell adhesion molecule-1). 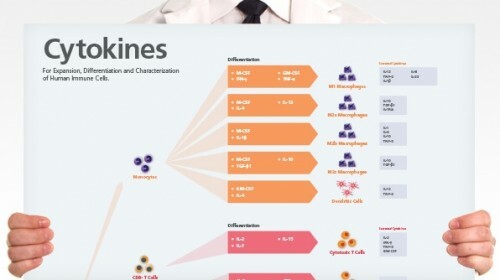 The results show that with LFA-1 antibodies, we can either 1) activate LFA-1 and inhibit α4β1, 2) inhibit both LFA-1 and α4β1, 3) inhibit LFA-1 but not α4β1 or 4) not affect LFA-1 or α4β1 These findings are important for the understanding of integrin regulation and for the interpretation of the effect of integrin antibodies and their use in clinical applications.